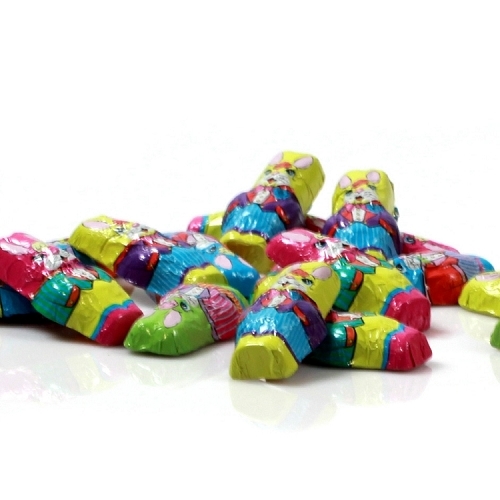 Home > Holiday & Seasonal > Easter Chocolates > Boo Boo Bacon Bunny 8oz. Boo Boo Bacon Bunny 8oz. 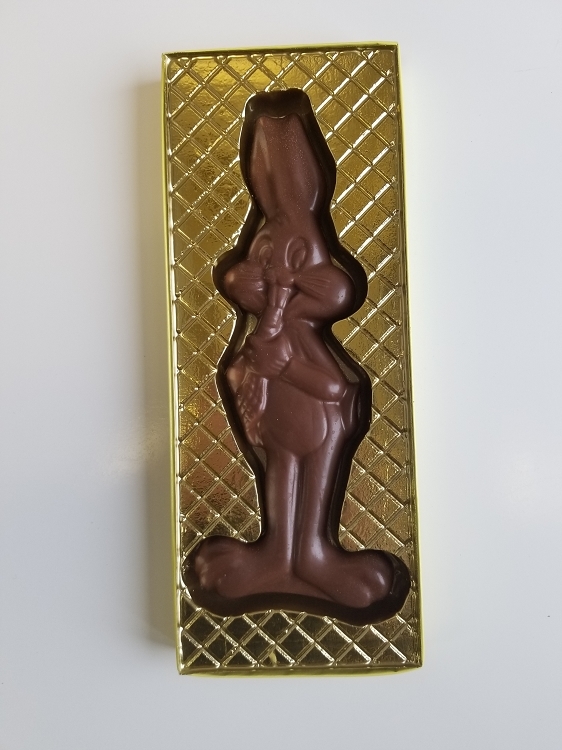 Our milk or dark chocolate Boo Boo Bacon Bunny is stuffed with seven slices of delicious Hickory Smoked Bacon, each bunny is made by pouring chocolate into a mold and then stuffing by hand with crispy hickory smoked bacon. It's too good to pass by and might start a new Easter Tradition. Net Weight 8oz. This is my second year of getting the Boo Boo Bacon Bunny. I had a great experience at the store & their milk chocolate is one of the best tasting chocolates I have ever tasted, add the bacon and it is truly amazing! While in New Jersey on vacation in June 2015 my children and I kept seeing billboards for the "Boo Boo Bacon Bunny". We stopped at the David Bradley Chocolate Factory on our way back home to Florida. We brought back many tasty treats including the Bacon Bunny. After we got home, my husband wanted to order Bacon Bunnies for the employees of our plumbing company. When we called, we were told they usually don't ship this far, but they shipped us several more Bacon Bunnies. Our employees loved them! Great customer service and fabulous chocolates!!! We haven't gone an Easter since without our Boo Boo Bacon Bunnies! Thank you so much!!!! 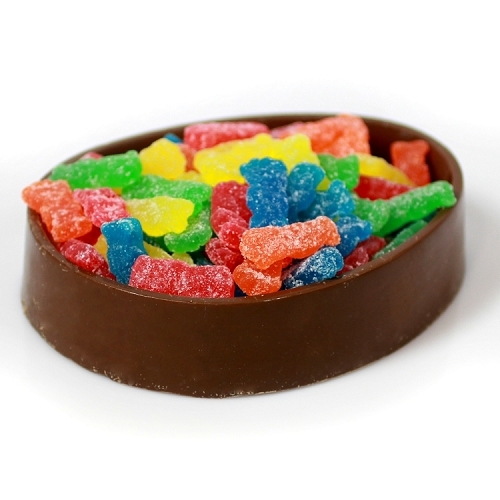 We have a popular chocolate distributor in or area but DB chocolates are the best. Creamy, melt in your mouth deliciousness! Got these for all the bacon lovers in my life this Easter! They were a huge hit! Chocolatey AND salty and bacony and delicious!!!! I loved the dark chocolate bacon bunny so much I ordered 2 more! "True" dark chocolate (that is, chocolate is the first ingredient, not sugar), crispy bacon. Absolutely delicious. Boo boo bacon bunnys were so delish! We tried david Bradley chocolate for the first time on Friday! It was so yummy. The boo boo bacon bunny was really delicious! Looking forward to going here again and buying the truffles. Tried a sample and they were good too! 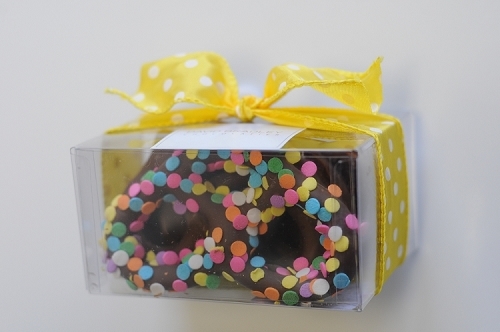 Easter Pretzel Cub Box 3.5oz. © Copyright 2014-2015 David Bradley Chocolatier. All Rights Reserved.